Decided to start off 2012 with some touch-ups to the blog I’ve been meaning to make for some time. Most of it is graphical and switching to a simple Arial font so everyone on any browser can read it. 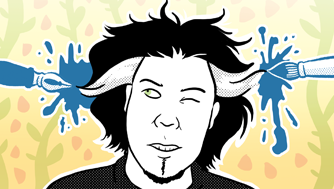 But the biggest thing of course is a new 2012 self-portrait! Click on the image below to see the un-cropped version!